Foundation problems? Call the top foundation repair company in Nashville. 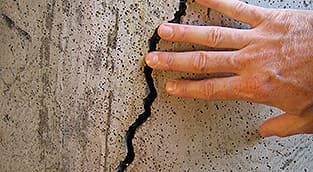 If your home foundation is cracked and leaking contact us today for a permanent fix. Leaky Basements? Call Us Today. Leaky basements are no match for us. We’ll fix them for good. Foundation Settlement can cause serious damage to your home. 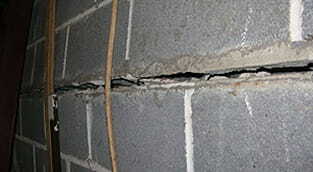 You need a professional to help correct your foundation problems, PERMANENTLY. Standing water in your crawl space or basement can not only cause damage to your home but can also impact your families health. Get a quote today! Bowing walls are often accompanied by cracks, especially horizontal ones, and possibly water damage. Simply bracing a bowing wall – especially when done by an amateur – will not solve the underlying problem. Warner Foundation Services has provided quality service for thousands of satisfied customer on successful waterproofing and foundation repair installations. Warner Foundation Service’s philosophy for success is to provide honest, courteous and guaranteed service to every customer. Our reputation reflects this. We are fast and efficient in our processes. We are very upfront about the amount of damage you have to your home and what options you have available to you. With over 17 years of experience in the industry, the owner is involved on every call. No subcontractors are used on any of our jobs. We are a full service company that handles problems ranging from patching cracks to rebuilding basements. We back all our jobs with a 30 year warranty. Most importantly, our highest degree of praise comes from the thousands of referrals we get from satisfied customers. 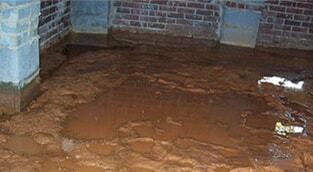 They’ve made us the No.1 provider of basement waterproofing and foundation repair. References are available upon request. Call the pros at Warner Foundation Service today for your free estimate! Not only do we repair foundations, fix leaky basements and pull back bowed basement walls. We can completely rebuild an existing foundation. 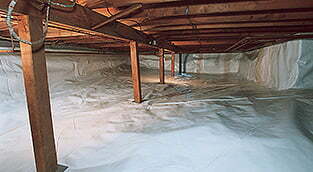 We can also dig and install a basement if you have a crawlspace. If you notice problems with your foundation, give us a call. Don’t wait for the problems to get worse. We used Warner Foundation Services to fix our home’s foundation. We had cracks in the walls and the basement was leaking water. Jay and his crew came out quickly and gave us a good price. They showed up the next week and worked quickly and didn’t destroy our property. They installed piers in under the home, fixed the cracks and stopped the water from getting into the basement. We are very happy with their service and will recommend them to everyone.